According to VBG, care and inspection of draw bar equipment remains an area of concern. Here, the company details how to look after couplings for safety and compliance purposes. As the coupling is fitted behind the rear wheels of the truck, it is in the firing line for any road debris. In addition, the components are out of sight, so it can quite easily be forgotten. However, it should be emphasised that it is a safety critical item, and as such needs to be inspected and maintained. Many operators now choose to take the repair and maintenance contracts offered by the truck manufacturer, but these don’t always cover ancillary equipment. If choosing this option, fleet managers will need to ensure that the coupling equipment is covered, and records kept for compliance considerations. For independent workshops, highlighting how you can cover such components may be a good opportunity to add value to your service offerings. Apart from inspection of the coupling, correct and regular lubrication is also an important area which is often overlooked. VBG recommends that no grease is applied to their coupling or trailer eye. Grease will act like a magnet for road grit, which will quickly turn to a grinding paste and create premature wear. 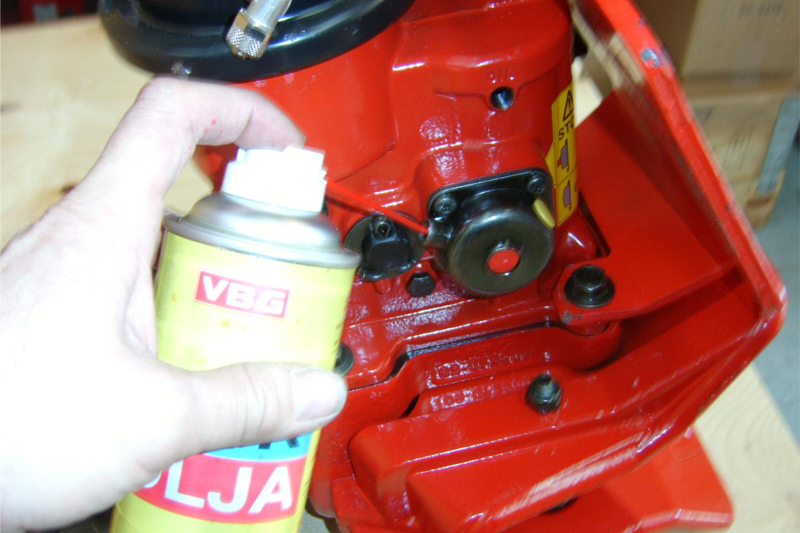 VBG has produced its own lubricant, ‘Mec Oil’, which comes in an aerosol can. It is injected through lubrication holes in the lid of the mechanism and the locking device at the side of the coupling. This special formulation will not only free up the coupling, but also leave an oily film over the internal components, preventing rusting and seizure. VBG has also produced an automatic cleaning and lubrication system, called the ‘Mechmatic’ system. The operation of this unit is simple and is timed to operate electronically, while it can be retro-fitted to all current models of VBG couplings. A care and maintenance pack has been put together by VBG, containing servicing requirements and instructive information to assist all of its customers.